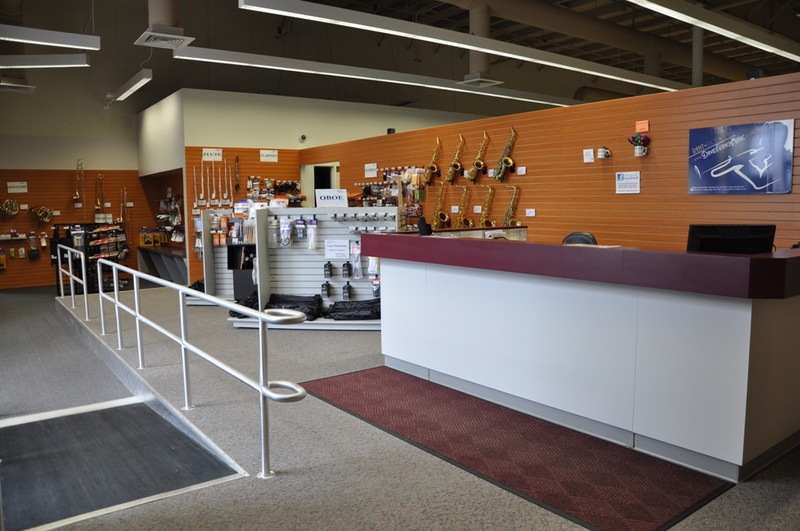 The David French Music Company offers one of New England's largest selections of musical instruments for rental or purchase, as well as musical instrument accessories, sheet music, instructional materials, and complete instrument rental programs for individuals and schools. Conveniently located in Westborough, Massachusetts, David French Music is staffed by experienced professional musicians and music educators who are passionate about music. They love to help people discover and fulfill their musical potential - from first-time music students learning to play an instrument to professionals looking to further develop their abilities and advance their musical careers. Started in 1987 by musician, teacher, and music industry professional David French, David French Music is committed to providing quality, affordable musical instruments and personalized service to students and teachers in public and private school music programs. David started his company after seeing students discouraged about learning to play a musical instrument as they struggled with inadequate "hand-me-down" or poorly-maintained instruments. It seemed obvious to David that students would be more likely to continue their music studies if they were able to use better quality, well-maintained instruments that were a pleasure to play instead of a struggle. David's theory has been proven by research*, and over the years the company has grown -- now owned by David's son, Eric, and his wife, Michelle. David French Music continues to provide reliable, affordable, brand-name musical instruments and accessories, personalized service, and the expertise to help music students of all abilities reach their goals. We look forward to serving you!